RECENTLY REDUCED! If you are seeking a home where you can live in luxury and comfort you must see this beautiful 4 bedroom, 4.5 bath home in The Estates of Prestancia! Meticulously maintained, and updated with care and quality, the kitchen features all new Jen-Air appliances, down draft oven/stove combo. Spacious and filled with light, this home offers everything you could want for comfortable day-to-day living and elegant entertaining. The master bedroom suite features his-and-hers baths. Split floor plan and en-suite guest bedrooms offer room and privacy for all. The large lanai and pool are perfect for a party or a quiet morning of relaxation. For those times when you want to celebrate with friends, there is a wet bar with pass through to the pool that seats five, and an outdoor kitchen. This gorgeous out-door area with Southern exposure features a new pool cage, new pool deck and new Pebble Tech pool surface. Want a little down time? Enjoy an early morning cup of coffee, looking out to the golf course over the unique reflecting pool. All this behind the secure gates of Prestancia. Nestled in the heart of Palmer Ranch, this community is conveniently located; close to restaurants, shopping, area beaches and all that vibrant downtown Sarasota has to offer. Optional TPC Club membership is available. 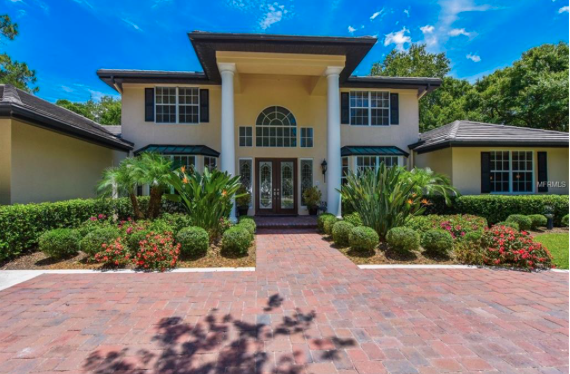 Welcome to this beautiful builders dream home in the exclusive community of Laurel Oak Estates, nestled on over 800 peaceful acres with 2 golf courses, tennis and club house. The traditional, southern feel of this home built by and for the original developer of Laurel Oak will make you feeling warm and welcome from the moment you arrive. His daughter lovingly architected the family home with thoughtful design choices throughout such as clerestory windows, French doors throughout, unique built-ins and bonus spaces to enjoy. 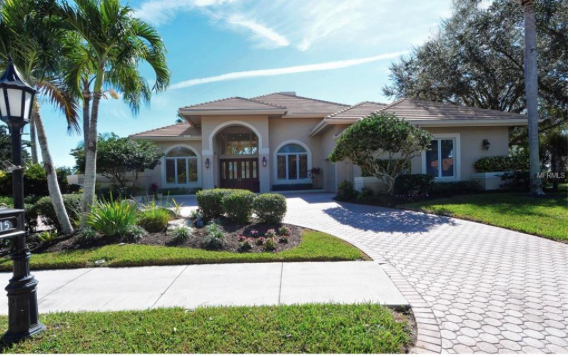 It is situated on over-sized grounds with magnolias, fruit trees and mature landscaping. Boasting an expansive layout that provides generous room for family gatherings as well as ample privacy with split plan. Just through the entrance are formal living and dining areas, set on either side of a grand oak stair case. For more intimate affairs, an open concept living room/kitchen provides a great space for entertaining loved ones. A favorite room is certain to be the dining nook surrounded by windows overlooking the lawn and rose garden. The kitchen features an island, breakfast bar, wine cooler and high end appliances. The private master retreat had double dressing rooms, en suite with garden tub and double vanity. Upstairs you will find an additional living area with balcony, a second master with en suite and two guest rooms. Get lost in your own backyard for an afternoon overlooking the golf course or relaxing in your pool. Book your private viewing of this gorgeous home today.